Ask people to think of a typical African mountain, and for many, Kilimanjaro might spring to mind. But it's far from typical, At 20,000 feet, it's the highest mountain in Africa, and one of only two to bear permanent snow (Mount Kenya is the other). Moreover, it is the largest mountain in the world that is free-standing; i.e., not part of a mountain range. 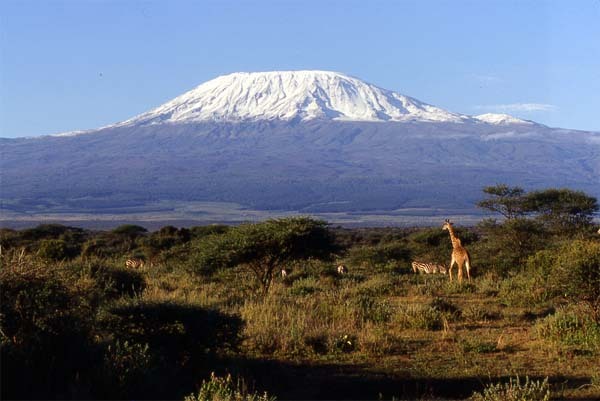 To scale Mount Kilimanjaro is the ambition of many visitors to Africa. Indeed, for its height, it is a relatively easy climb relative to other mountains of a similar height. To walk up the gently sloping sides needs only stamina to withstand the thin air and long distances.